Overall, partridges are considered “handsome” birds. 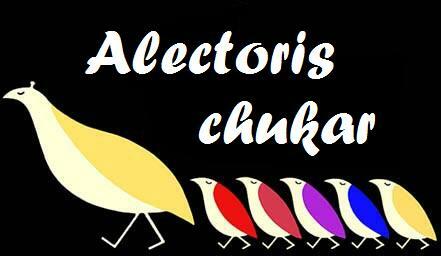 They are medium-sized birds that are plumper than a quail, but smaller than a pheasant. 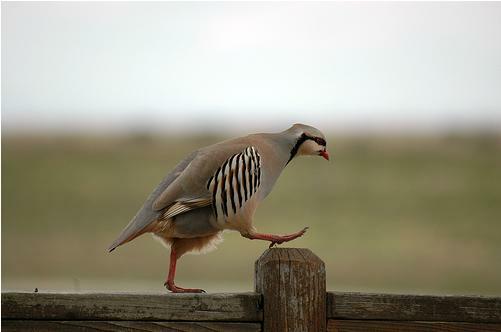 Both their feet and legs don’t have any feathers, and in the chukar, they are red. They weigh one to two pounds. 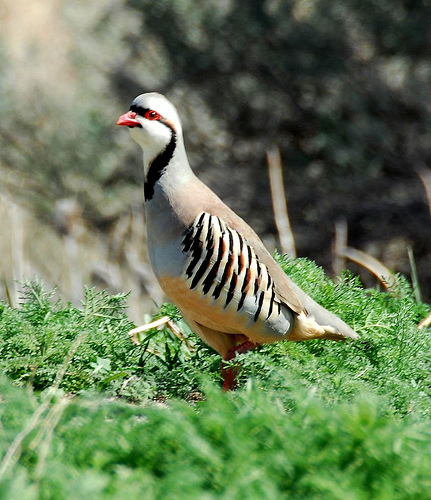 Chukars are easy to identify by their prominent face pattern and barred flanks. 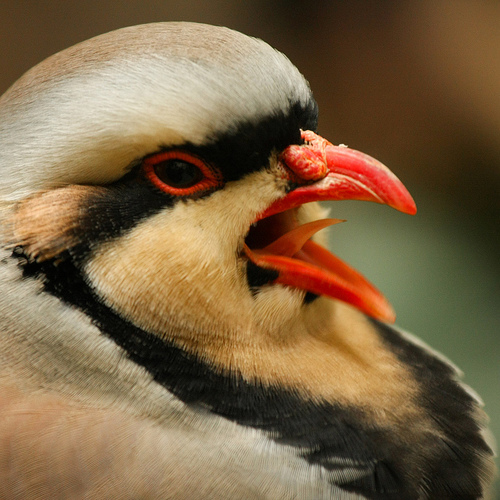 This is considered “bib and tucker with striped waistcoat.” The black stripe over its eye traces down the neck and meets beneath the throat, forming the ‘bib.’ Both the male and female chukars have the same distinguishing markings, so it is extremely difficult to tell them apart.